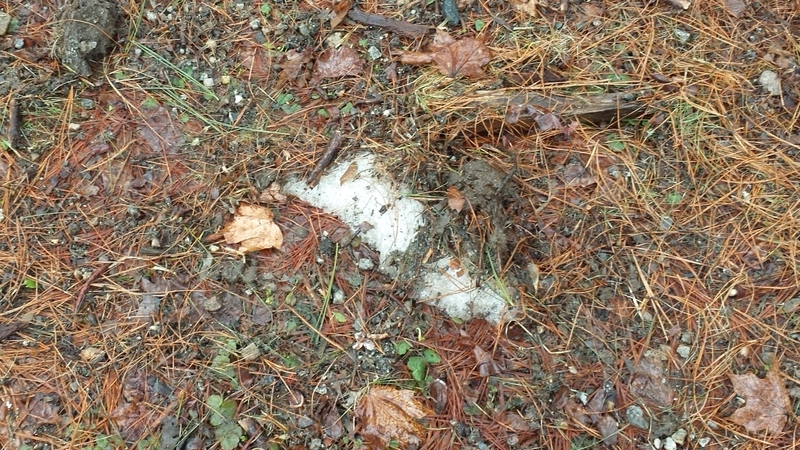 Ode to the last bit of snow in a New Hampshire spring…. Yesterday it was 78 degrees. Last night it rained. Today it is still raining. All the other little piles of snow have gone. They have moved on. They have returned to the Great Water Spirit in the sky. Some have already returned to us as gentle rain. Some have merged with the Big Ocean Waters. Is it the fear of melty death? Fear not, for all snow eventually meets its end. And you will, too. Are you striving for some sort of new record? Alas, that is beyond your grasp already. You surely cannot last past Easter, and yae, I have seen snow in the late spring many, many, many times in New Hampshire. Are you just trying to piss me off? Give it up already. You’ve succeeded. So melt away, little pile of snow. No one shall mourn for thee, especially if you hang around much longer. Author Luann UdellPosted on April 15, 2014 Categories depressionTags Ode to the last bit of snow in a NH spring1 Comment on GO AWAY ALREADY!!! It’s been awhile since I’ve written here. Thank you to all of you who wrote, because of the silence, to ask if anything was wrong. There were some scary things going on this holiday season. It’s been impossible to share them, for many reasons. The main reason is, to do so would violate the privacy of someone I love more than my life. It’s not really my story; I was a bystander who got caught in the backlash of the tornado. After the worst of the storm had passed, and things looked more like normal (and I am very, very grateful for normal), I wondered why I wasn’t bouncing back as quickly as I usually do. I felt violated, stripped of my reason-to-be, and off-balance about the role art plays in my life. Two things have put me back on the path. One is a children’s book I’ve been reading this week. It’s the finale to Susan Cooper’s marvelous series THE DARK IS RISING, about the battle between good and evil in the world. called “Silver on the Tree”. I found “Silver on the Tree” at a thrift shop last week, snatched it up and read it. Near the end, the heroes venture through a beautiful kingdom, a land of makers and craftspeople, singers and story-tellers, in search of a magic sword to help them in their quest. The king of that land, the maker of the Crystal Sword, sits alone in his castle, immobilized these many long years and silent. To be open to the world, to be open to your creativity, also means we are exceptionally vulnerable to the dark forces of the world. When we are open to the chaos of possibility, we are also vulnerable to the chaos of evil. Even as we delight in the small fierce flame of creation, in ourselves and in others, we are in danger of someone carelessly, deliberately, cruelly, snuffing it out for the sheer enjoyment of tormenting us. It’s frightening to realize the world has such people in it. They’re surprisingly hard to see, too. In fact, they may be the most charming person you’ve ever met. Your only clue may be how awful you feel about yourself after dealing with them. How inadequate you feel, how selfish you see yourself, how useless your talents are to the world. And because you yourself have let in that despair, only you can see it, and only you can tell it to leave. You can accept there is evil in the world, and give in to it. Or you can say there is also good in the world–and embrace it. I have to choose the latter. I have to believe in what I do, and in who I am. The other thing that’s a miracle today, is a little piece of paper I found while cleaning piles and piles of my crap for a party we’re having tonight. It’s typical of my little notes to myself: Written on a torn sheet of paper, some little thought–the title of a book, an idea, an insight–in an futile attempt to shed some of the mind-slurry that is my brain into something that might help me organize. Or at least remember! I have no idea where it came from, or who said it. It sounds like something my friend Quinn MacDonald would say. Heck, maybe I said it! But surely I would have remembered….?? What matters is this: It’s true. I need to write to process what happens to me. My lack of writing has delayed my healing. I’ve been writing, privately, the last few days, after this long drought. And slowly, my heart is making sense of the last two months’ events. And some peace is restored in my soul. So I find myself at the end of the year. It’s been a hard, hard winter already, and many more dark, cold nights ahead. And I am so very grateful for these two tiny, wonderful miracles in my life today–a torn piece of paper, and a well-worn old book. And I’m grateful for my marriage, my children, my family, and friends, and dogs who sleep on your feet at night, and cats who try to sleep on your head. Myth: If only I could get into X Gallery/get Famous Person Y to see my work/get a website, I would be successful! Reality: No one person, event or venue will make or break your vision. Every day you will find an opportunity to move your art/biz forward. Every day you will overlook an opportunity to move your art/biz forward. Hello, again! I get what you’re saying, Luann, I really do. But right now I’m really in a down space. Filled with excitement, I opened up a space in Etsy back in September thinking that *there* I would find people who would see value in handspun hand-dyed yarn. They do, apparently–there are lots of other spinners on Etsy–but evidently they don’t see any value in mine. Lots of looks, a few hearts, no sales. I’m sorry for dumping on you my own pity-party, but I need someone who is an artist and “gets it” to vent to. ..
Maybe the Lord is trying to tell me to give up and become a boring housewife who grades papers and washes dishes and remembers when she used to make beautiful stuff. I don’t know. Sometimes we take that leap and many things fall into place. Sometimes we take that leap–and things stay hard. In fact, that is the major purpose of my blog: To chronicle my journey pursuing my art, with honestly and self-examination. And hopefully, a huge helping of inspiration. Because, as my husband pointed out to me a short while ago, we always hear about the instant overnight successes. (What I call the Cinderella stories.) And we also hear about the not-so-overnight success stories, where the hero struggles and perseveres, and finally gets a lucky break. The point is, we already know how those stories end. We know the goal was achieved, because the tales are always told afterwards–not while the ball is actually in play. My blog is all about the ball being in play. And sharing that process with you. 1. When we stand at the beginning of our stories, we cannot see the end. Sometimes, we can’t even see what our ultimate goal will be. Longtime readers may remember my sad little story about wishing my handknit toy sheep idea taking off. And when they finally did, how I discovered how much I hated knitting toy sheep. If your handspun biz where to be an instant hit, you could be locked into a business that takes too much time away from your other pursuits right now. Or you might find spinning is fun for a few hours a day, but not so much fun doing it all day. Maybe you’ll realize you like writing about the process, or teaching the process, more than making yarn to sell. (Although that piece of it will give you the insights you need to do the other stuff–writing, teaching, demonstrating, etc.) Maybe you’ll end up developing a therapy program with your skills. Who knows what the possibilities are? So maybe right now you think your dream is to sell handspun yarn. But maybe even bigger things are in store for you. 2. We cannot tell what strategy will work, and which ones will peter out. Etsy looks like a “sure thing” from the outside, but having an Etsy shop does not guarantee success. We dream of getting into “that great gallery”, sure we will be successful if they would only represent our work. We dream of finding “the perfect show” where we will find all the buying customers we need. We know if only we had a great website, we would be flooded with orders. In reality, there is no “perfect venue” or “perfect strategy”. There is simply another opportunity to try. Maybe e-commerce will work for you. Or maybe your yarns would sell better “in person”–at small local shows, or certain events. (We have a big “Wool Tour” here in New Hampshire on Columbus Day weekend. People come from hundreds of miles to tour small farms, see llamas and sheep and angora goats and bunnies, and buy fleece, roving and finished yarns.) Maybe people need to touch your yarn to fully appreciate it first, and then you turn those customers into online customers with reorders. Maybe a “new product release” about your yarns to a knitting or spinning magazine would bring interested buyers to your Etsy store. 3. We may be trying to sell to the wrong people. Etsy is the biggest and best-known venue for handcraft. But it’s also a huge venue for vintage goods and craft supplies. And it’s a big shopping venue for other artists. So you may be inadvertently trying to sell to people who can make it themselves. At a friend’s suggestion, I used Etsy as a way to sell to my current customers. I didn’t actually think I could join an already established, close-knit online community (no pun intended) and create a strong presence there. Even so, I didn’t have a single sale on Etsy. I’m exploring other ways to sell online, and will use Etsy to offload my old supplies. 4. It just may take more time than you think. And see item #1 above, where things taking time can be a good thing. 5. And sometimes it’s just hard. It’s true–it’s just hard sometimes. There are days when we just feel like the universe is saying “no”. But what does your heart say? Because if you give up, there is only one thing that can happen: Nothing! #5: What is “success”, anyway? What does it mean to Y*O*U? Right now you haven’t had any sales. Is that your only measure of success? Have you learned how to spin and dye beautiful yarn? You’ve successfully developed a product. Have you learned how to talk about it, write about it? You’ve learned how to pitch your product. And have you learned how to create a unique product? Which leads us to…. #6. Are you telling your real story? Sometimes, especially when we first start out making stuff and getting it out into the world, we focus on the surface of the process. When you hear artists say, “I just love color!” or “I just love knitting!”, we are listening to someone who has either a) not bothered to dig deeper; b) doesn’t know how to dig deeper; or c) or is afraid to dig deeper. Here’s a perfect little example that Bruce Baker tells in his seminars. A potter makes tiny little pots with lids, very charming. But so what? Doesn’t that make you want to own one of her little pots? And when you are harried and frazzled, you can lift the tiny lid….and there is your own little moment of quiet and peace. She told us the “why”. And when you purchase her product, you can have a little of the “why”, too. 7. If it brings you joy, you should not–cannot–stop doing it. It’s hard when it feels like the world does not want our beautiful work. But remember when I said, “I have to do it anyway, or I’ll die?” That’s what got me through. Yeah, I know I wouldn’t drop dead if I never made another little horse. But I know something inside me would wither away. And the world, whether it knew about the loss or not, would simply be a sadder place for it. I want to believe in my heart that somehow, in ways I may not see or could even possibly imagine, that the world is a better place for me making my work. For me being in the world. I have to believe that. Because to believe otherwise is to give in to self-doubt, and eventually, despair. And whatever we believe in, whatever our religion or creed or ethics, if we are creative people, then we have to believe that creativity makes the world a better place. That anything we make–a lovely skein of yarn, a useful pot, an inspiration movie, a beautiful song, a warm and loving home for those we care about–the world is a better place for that. Or what are we here for? So keep making your yarn, because it makes you happy. Don’t give up, but be open to where it leads you (because it may not take you where you think you’re going!) Take the opportunities you find. Let go of the ones you miss, and move on. Think about the deep “why?”, and don’t be afraid to share it. And know that whatever happens, it’s all good. Reality: Any time you can make art is a good time to make art! I’m beginning to think that history books and movies have been the source of most our myths about artists. Again, remember that what makes for a good “sound bite” doesn’t always reflect real life. And what do we know about artists throughout history? Usually a sentence or two, or at most a paragraph in the history books. An entire chapter, or maybe even a book, for the stellar ones. So we’re only a “real artist” if we devote every waking minute to our art, and plow through our personal relationships with the sensitivity of a back hoe. There are other ways to make art, of course. And the artists involved are just as “real” as you and me. Yes, some artists are fortunate enough to pursue their art full-time. But their art becomes their profession–they work just as hard at it as anyone else does in THEIR profession. If they sleep til noon, it’s because they just spent 36 hours straight completing new work for an upcoming exhibition, or they put the finishing touches on a new CD, or they finally figured out how to use QuickBooks to bill their galleries, or they just got back from a grueling four-day wholesale show on the other coast. Real artists run the gamut of everything you can say about artists. Some are so successful selling their work, they can support themselves and a family doing so. Some work part-time or even full-time jobs to pay the bills, painting in their spare time. Or they marry someone whose passionate profession pays more money than making art does. Some get famous, some don’t. Some blow through people like kleenix, others have solid relationships and happy families. Some create public murals that cover tall buildings that thousands see every day. Others make wonderfully tiny artifacts you can cup in your hand and known to literally a handful of people. Again….there’s room for us all. Of course, the converse is also true. If you work full-time or engage in other activities, and don’t make time to make art, then you may be an artist at heart. But there will be nothing in the world that reflects that intention. If you watch TV, do housework, put everyone else’s priorities ahead of yours, then your art will indeed only take up only the tiniest space you’ve allotted for it–nada. Yes, life happens, especially if you are the caregiver in your family, the social planner, the “fall-back” person. Our sales fall off and we have to scramble to pay the bills. We get sick or injured, or a loved one does. We enter periods of self-doubt and despair. Our desire to create can seem fragile, tenuous during hard times. But ultimately, we have to come back to this–the only person who can make your art is YOU. Whether it’s a song, a prayer, a painting, a dress, a garden, a play, a dance, a necklace, if it’s in you, find a way to get it out into the world as soon as you can. So make time for your creativity a priority. Carve out a little space for it in your life. Plan for it. Honor it. Respect it. Because if, like I did once, you walk away from it entirely, you will always feel that empty space in your heart. I will never go “there” again. And my wish for you is that you never go “there”, either, at least not for very long. Tip: This is where a well-written, passionate artist statement comes in handy. The kind where you really talk about the WHY of what you do. When you read yours, YOU should be inspired to get back in the saddle and ride off into the sunset with your art.